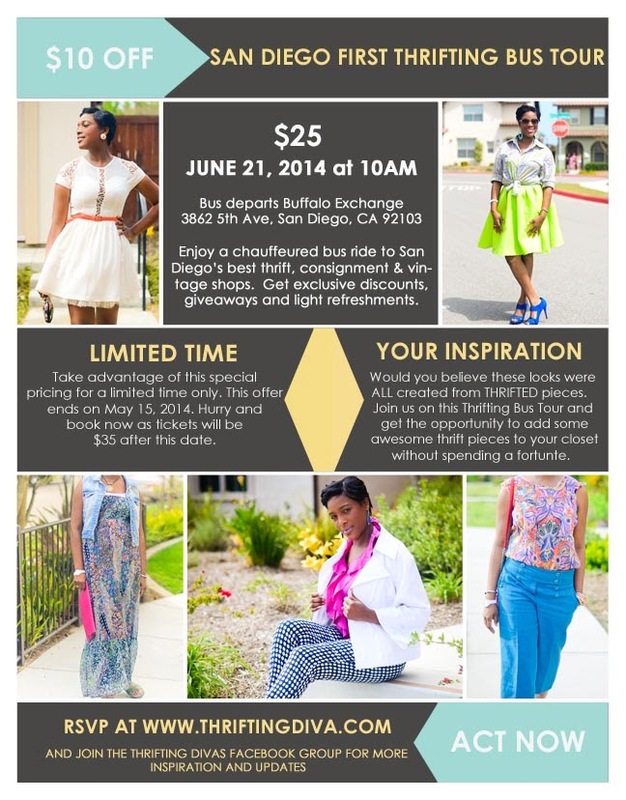 Coming June 21st 2014: Enjoy a chauffeured bus ride to San Diego's best thrift, consignment & vintage, get exclusive shopping discounts, giveaways, and light refreshments brought to you by Thrifting Diva! The bus departs from Buffalo Exchange, 3862 5th Ave, San Diego, CA at 10 am. 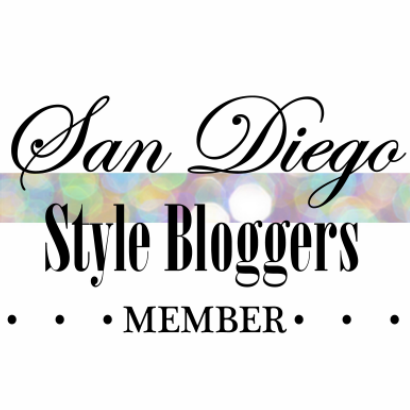 After which, it will visit four awesome thrift/vintage/consignment shops in San Diego. Tickets can be purchased directly at www.thriftingdivas.eventbrite.com. The line up of stores for the day will be Buffalo Exchange, Thrift Traders, Goodwill, United Cerebral Palsy and Frock You Vintage. If you have any questions, please do not hesitate to contact Ayana. Jessica you are always allowed to attend "shopping" event, the thrift Gods allow that! Hopefully you will be around to attend. But, spreading the word is also great. I would love a great turn out as I do think it will be awesome day.